Auckland-based investment manager New Ground Capital is collaborating with charitable group, the Ākina Foundation, to launch one of NZ’s first ‘impact’ funds. The wholesale Impact Enterprise Fund – in the final stages of offer paperwork – will target a modest capital-raise of $15 million to invest in up to 15 locally-domiciled entities with a social and/or environmental edge. Slated to go live in September, the Impact Enterprise fund will be backed by the technical expertise of New Ground Capital, which holds the distinction of being the first group to gain a managed investment scheme (MIS) licence under the Financial Markets Conduct Act. An Ākina spokesperson said there was a growing demand in NZ for impact-investing, which has experienced massive uplift in recent years offshore, particularly in the US and European markets. The spokesperson said the Ākina Enterprise fund should help spark further interest in the NZ impact-investing market. According to the recent Global Impact Investing Network (GINN) 2017 industry report, the 200 plus entities it surveys collectively manage about US$114 billion in impact investment projects. “In aggregate, 205 respondents invested USD 22.1 billion into nearly 8,000 impact investments in 2016 and plan to increase capital invested by 17% to USD 25.9 billion in 2017,” the GINN study says. Usually lumped under the broader socially responsible investment (SRI) umbrella, impact investors target specific positive environmental and/or outcomes – usually via private markets – in addition to financial returns. “The overwhelming majority of respondents reported that their investments have either met or exceeded their expectations for both impact (98%) and financial performance (91%),” the GINN report says. The GINN survey covers fund managers (67 per cent) and charitable foundations (11 per cent) as well as a smattering of banks, development finance groups, family offices and pension funds. To date, smaller, niche providers have dominated the impact investment market but recently more mainstream financial institutions have joined the trend. “The majority of respondents believe the entry of large-scale financial firms into impact investing will professionalize the market and bring in much-needed capital, but most also believe there is a risk of mission drift or impact dilution associated with this trend,” the GINN study says. Emerging out of the Hikurangi trust established by the Todd and Tindall family charities in 2008, the newly-named Ākina Foundation formally launched in May 2014 on the back of new government and corporate (through Contact Energy) funding to the tune of $1.27 million. 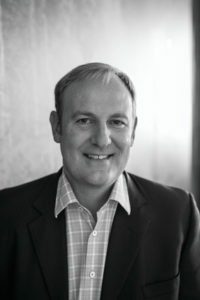 New Ground Capital, founded by Roy Thompson and Brian Collins, “was established to create innovative capital and investment opportunities for the benefit of New Zealand and New Zealanders”, according to its website. Currently, New Ground lists three property-based projects on its books including specialist housing developments in Auckland and Queenstown.